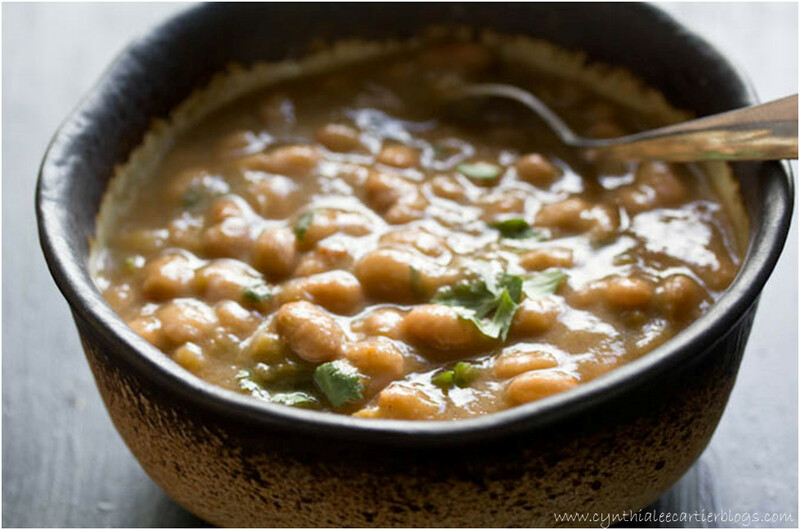 This Spicy Pinto Bean Recipe makes a hearty and flavorful main or side dish. For more about this recipe and the nutrition benefits of beans, read below. Combine water, vegetable broth, beans, yellow and green onions, chili, garlic, pepper flakes and cumin. Bring to boil briefly. Reduce heat and simmer for 2 to 2 ½ hours, until tender. Watch the pot carefully the last ½ hour of cooking so that the beans don’t stick and burn. When beans are tender, add salt, black pepper, cilantro and lime juice. Serve as a side dish or a main dish with a seasonal side.